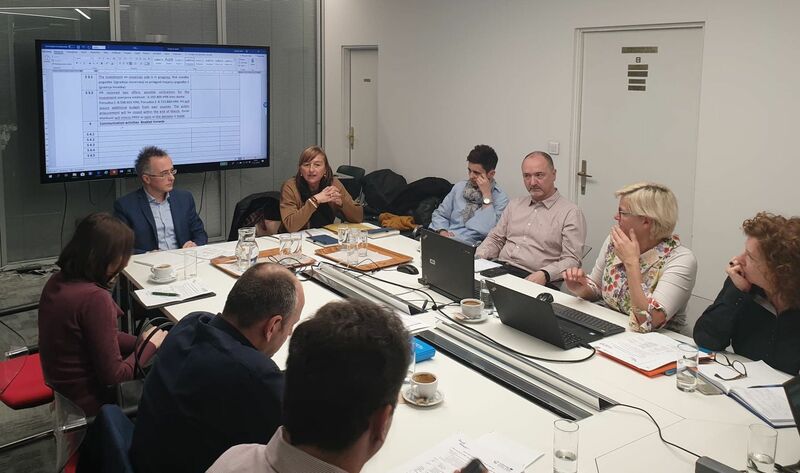 Zagreb, March 5, 2019 – Second meeting of the Steering Group for the implementation of the Frisco 2.1 project (Cross-Border Harmonized Flood Risk Reduction 2.1 – Structural Measure Vonarje dam) was held in the premises of Croatian Waters in Zagreb. The project is being implemented under the auspices of INTERREG VA Slovenia-Croatia Program for period 2014-2020. The meeting was attended by representatives of the leading project partner, Slovenian Water Agency and representatives of Croatian Waters as project partner. The meeting reviewed the implementation of the project, among which they discussed also the possibility of extending the project until November 30, 2019.